The Kia Forte lineup of compact sedans, coupes and hatchbacks is almost big enough to be its own brand. With sporty styling inside and out, a choice of two engines, and features that were once the exclusive purview of luxury cars, the Forte's level of refinement and quality is on par with most anything in the class. The eco detail is probably my favorite, due to cutting costs for gas. Nothing really wrong, it has made some funny noises, which almost seemed to be some kind of overexertion while attempting to accelerate up hills or steep areas. Aside from that, the car has proved to be quite solid and reliable, offering an eco mode to use less gas, and its regular setting of course. When using the eco setting, the only real difference while actually driving seems to be that while accelerating from a stop it takes just a tad longer to get to whatever speed you want then it would in just the regular setting. The car's interior is both spacious and comfortable and offers Bluetooth wireless connection and a few other dash features to assist the driver, one for example being an alert system. So say your front tire had started to leak air, once you cut the car on it will signal so on the dash letting you know it must be checked out. So, that about wraps it up for my review on the 2015 forte, which has served me well enough so far. Reliable, cool, customized for you. The Kia forte is extremely reliable. I have put a lot of miles on it and haven't had any problems yet. The eco option really helps you save on gas. I love that it keeps track of how many miles you have left in gas tank before feel up is needed. Accelerates lovely, also has 3 different power steering settings, which gives you options based on your driving preference. I personally interchange between all 3 depending on my mood and driving situation. Finally, the cosmetics on the outside, can only be described as, simply but surely, cool. You don't have to spend all your money on a sports car and sacrifice on gas. This car looks cool as hell parked, and on the road. People can't even believe its a Kia sometimes. The important thing to know about the Kia forte is it is very good on gas. I bought my Kia forte in 2015, brand new. It was the first Kia I have ever bought and I love it. It's a very reliable car. I never had a problem with it in the almost 5 years that I purchased it. My Kia is very good on gas, I fill up and it seems like it lasts forever. It drives very smooth. My Kia forte is also very comfortable to ride in. Some cars you get cramped up being in for a long drive, but the Kia forte is very spacious and comfortable. I take it on long drives almost every weekend and It's a very smooth ride from start to finish. 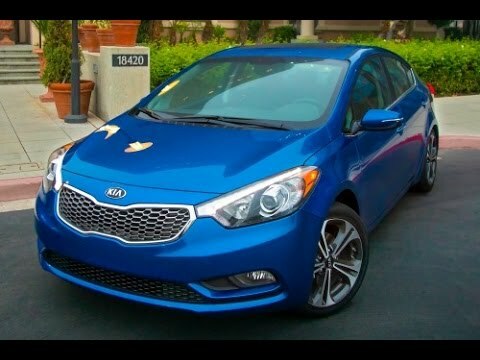 I would recommend a Kia forte to everyone looking to purchase a car!